Due to Access database corruption, you’re likely to confront an error message like “unrecognized database format” or any other. Eventually, the situation will leave you searching for the right solution to repair Access database so you can restore Access database objects. Luckily, you’ve come to the right place. 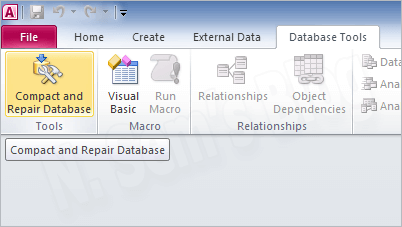 I’m sharing some useful information about how to repair Access database manually. Now there’s no need to use 3rd party paid tools which may cost you up to $100. You should only consider a professional Access Database Recovery tool if you can’t repair Access database manually. Microsoft is a leading software developer in this world that provides a wide range of products and services related to computing. Microsoft Office suite is one of the most popular software programs designed by Microsoft. It contains several desktop applications and Access is one of them. 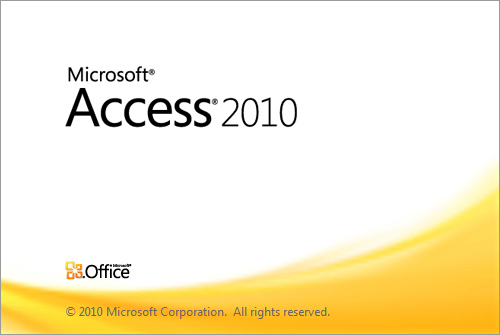 Microsoft Access is a database management system, and also known as a database management tool. 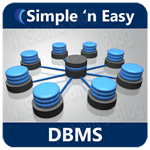 The database management tools are commonly used in corporate sectors, businesses, and other private organizations where a large amount of data is stored and managed in a regular manner. A database is a computer file that stores a large amount of data and information. The process of manipulation of stored data and information according to the requirements is called database management. Generally, database management involves storing, managing and organizing a large amount of data and information, and you can easily edit or modify it whenever required. Hence, for all these functions of database management, Microsoft Access is one of the best applications for database users. Microsoft Access allows you to build tables, queries, forms, reports, macros and VBA modules covering both front-end (load/entry) and back-end (reporting/maintenance). If there are thousands of records in a database file, it may take enough time to search a single piece of information. But Access helps you obtain any information very quickly by just providing a few commands. 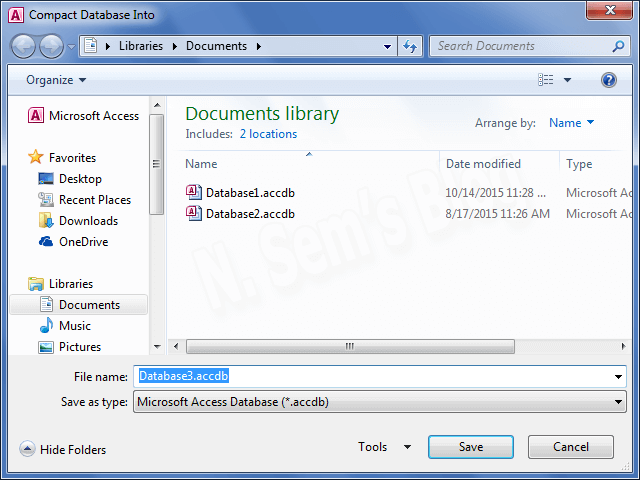 Generally, MDB (.mdb) and ACCDB (.accdb) are two Access database types used by Microsoft Access program. MDB (.mdb) or Microsoft Access Database: MDB is the old database file format used by older versions of Microsoft Access (Microsoft Access 2003 and earlier). 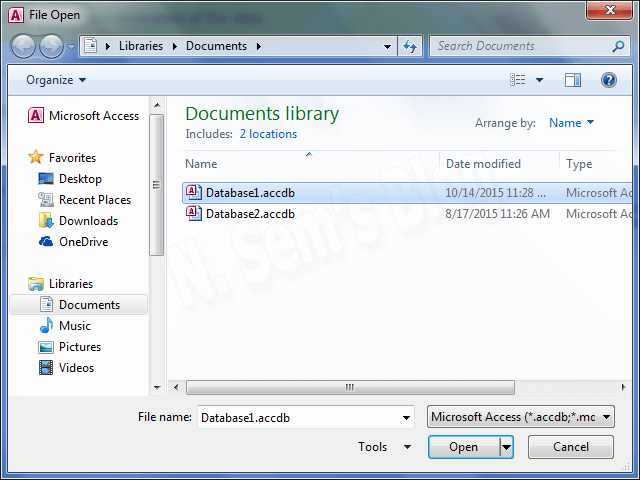 ACCDB (.accdb) or Access Database: ACCDB is the new database file format introduced in Microsoft Access 2007 and its later versions. Basically, it’s similar to MDB format, but it offers some additional features like storing file attachments. You can only view or edit an ACCDB file in Microsoft Access 2007 and its later versions. The fact says that no computer file is immune to corruption. And the database files are more likely to be corrupt than any other computer file. Thus, an Access database is highly prone to corruption due to various reasons. It may get corrupt at any time without any warning and leave you helpless if you don’t have the backup. You might be thinking about the reasons for Access database corruption now. Let me show you. This is one of the most common reasons for data and file corruption. A virus can easily harm your computer data stored on any drive of the system. 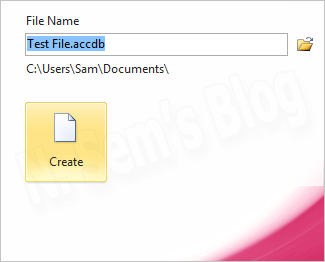 It can easily delete some part of the file or overwrite the file. In such case, the file becomes inaccessible or corrupt. Suppose you are working on a database file in Microsoft Access. All of a sudden you close the program in an improper manner or it gets terminated unexpectedly due to system power failure, then the opened database file may become corrupted and lost forever. An unexpected system shutdown is another main reason for file corruption. A computer system should be properly terminated or shut down. If not, then it may damage or corrupt all the data saved on the system drives. It doesn’t affect any hardware device but can easily damage the stored content. A system crash is a situation in which your computer or a program doesn’t work properly or stops working. It often gets existed after encountering errors. Due to system crash, a particular computer program may appear to be frozen or hang. A system crash may result in corruption, and sometimes you may lose your data forever. There are two types of hard disk failure: physical and logical. And both are really very harmful to your computer data. Physical failure means the damage in the hardware parts of the drive and it could be either mechanical or electrical. Logical failure can damage the previously recorded information or make it inaccessible. Data synchronization is a process to synchronize a single set of data between two or more devices. It’s very helpful in establishing consistency among data from a source to target data storage and vice versa. But if you perform data synchronization process improperly, then the database file may get corrupt. 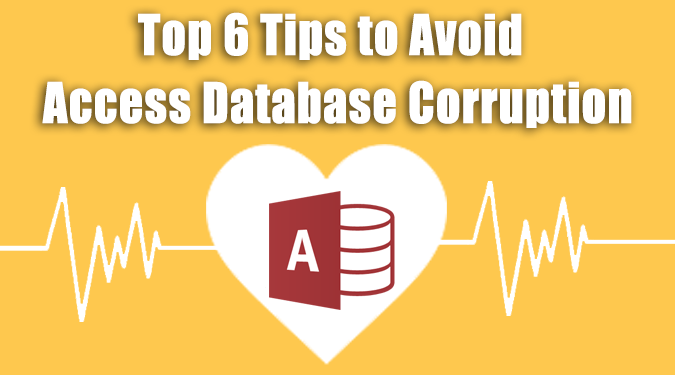 How to Avoid Access Database Corruption? Taking a regular backup of your database is always really very helpful. If you regularly maintain the backup of Access database, this means your database is always protected or secured. Having a valid backup file means you always have an option to restore data at the time of data loss due to accidental deletion as well as corruption. Avoid canceling or terminating Microsoft Access application improperly. This may cause Access database corruption. Make sure you always close Access program properly in this way: click File tab > Exit in the option. Whenever you finish your work on an Access database, don’t forget to close all the active connection running in the Access database. You must split Access database if two or multiple users are using or accessing it at the time. You can split your database into two parts: front end and back end. Front-end stores queries, forms, reports, and data access pages while back-end stores the entire table along with data stored in it. If Windows and Mac users are sharing the same network, then the chances for Access database corruption become higher than ever. Unlike Windows, Mac system creates a heavy traffic during the process of transferring and printing graphics. Therefore, make sure you don’t allow Windows and Mac users to work on the same network at the same time. One of the best ways to avoid Access database corruption is using Compact and Repair utility. It comes as a built-in tool with Microsoft Access application which can help you boost up the performance. Also, it’s helpful in fixing Access database corruption. You should regularly use Compact and Repair utility. Before you can use any 3rd party Access Database Recovery software, you should try to repair Access database manually. Microsoft provides a built-in repair feature in its Access program, called Compact and Repair Database. It can fix Access database corruption and repair Access database. Also, it’s very useful when a database file becomes large and causes slow performance in Access program. It safely reduces the size of the file without causing any damage. However, you should create a backup of the Access database file you’re going to compact. Step 1: First, launch Microsoft Access program on your system. Step 2: Don’t open the database file. Just click the Database Tools tab shown at the top. Step 3: Now click Compact and Repair Database above Tools section. Step 4: On the “Database to Compact From” dialog box, browse the database file. Click it once to select it. Now click Compact. 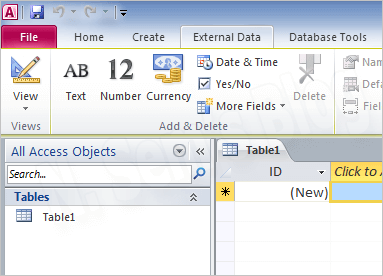 Step 5: On Compact Database Into dialog box, you need to create a new database. Give a name to the file and click Save to save the file. Note: If any other user is using the same database, then you just can’t use the Compact and Repair trick. Make sure no other user is currently using the same database file. Also, make sure you create a backup of the database file before performing any manual tricks. 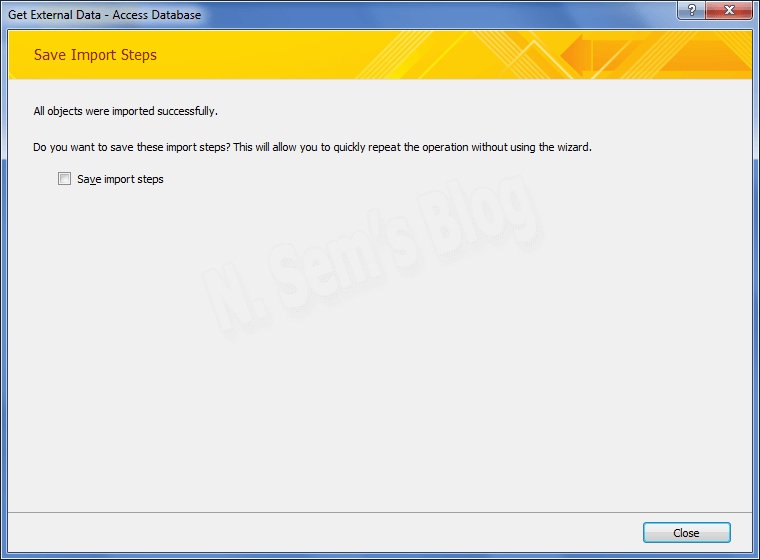 Other than using Compact and Repair Database, you can also try to import corrupt Access database to a new database file. Before importing your corrupt Access database to a new database, you should create a new blank database file. We’ll discuss it later. Before that, let’s see below how to use JetComp.exe to repair Access database. Microsoft provides a freeware utility, JetComp.exe, to repair Access database created with Microsoft Jet database engine 3.x. If Compact and Repair utility fails to repair Access database, you must try JetComp.exe. Note: Before running JetComp.exe, rename the Master Client database to PROB.mdb. Now you can run JetComp.exe from the MonTel Application/support directory. Step 1: Enter the full path (MonTel Datadirectory/CLIENTDB) and name PROB.mdb in Database to Compact From (Source): field. Step 2: Enter the full path (MonTel Datadirectory/CLIENTDB) and full name ([ClientDB] section ClientDatabaseName + “.MDB”) which is likely to be CLIENT32.MDB. Note: Don’t change any of the other fields. Step 3: Finally click Compact. If this succeeds, allow the other users back into MonTel. If this fails, you’ll need to restore CLIENT32.MDB (or whatever it’s named) from the backup. You can now delete PROB.mdb. Step 1: First, launch Microsoft Access on your system. Step 2: Look at the right-hand side pane. You need to create a new database file. Type a name for the file and select the location. Click Create to create a new database. Step 3: This will create a new database file and open in Microsoft Access program. Click the External Data tab at the top. Step 4: Now here click Access to import Access database. 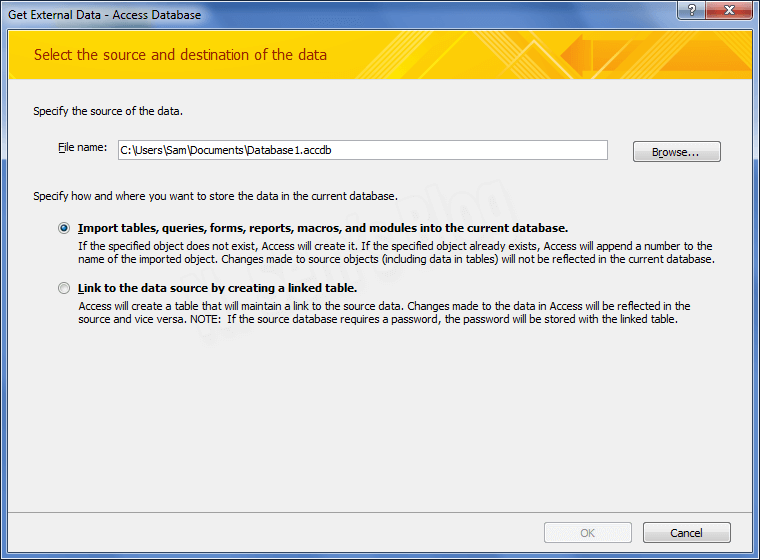 Step 5: This will open the Get External Data – Access Database window. 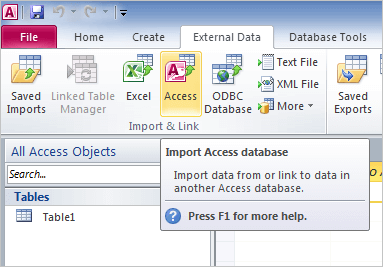 Click Browse… to select the Access database file which you want to import. 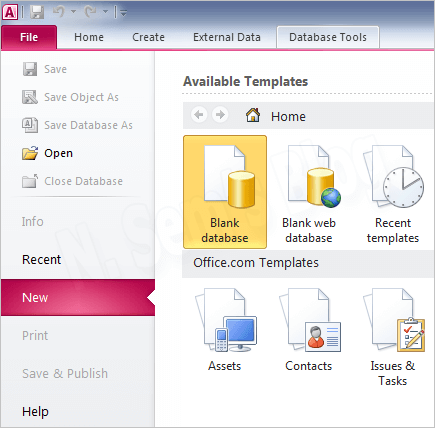 Step 6: On the File Open dialog box, browse the Access database file and select it by clicking it. Click Open to confirm your selection. Step 7: You can see the selected Access database file in the edit box. Now click OK to continue the process. 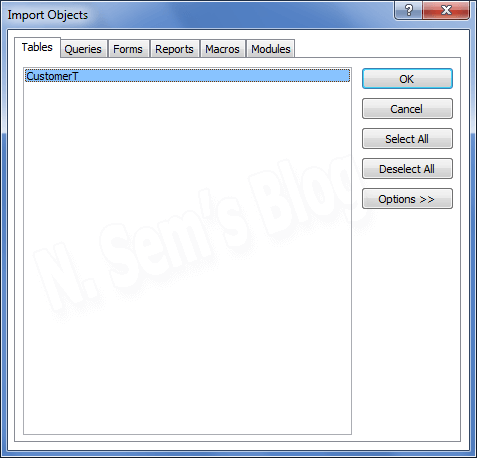 Step 8: On the Import Objects dialog box, select the objects you want to import from the selected database file. Once you select the objects, click OK. Step 9: This will successfully import all the selected objects. You may check the Save import steps box (optional). And finally, click Close. Note: The Import Objects feature will help you import all the file objects like Tables, Queries, Forms, Reports, Macros and Modules from a corrupt Access database to a new database file. In a case of severe corruption, the manual tricks may not fail or not work. In such a situation, you can try Access Database Recovery software to repair Access database file and to restore Access database objects from it. It can repair ACCDB and MDB files created by all popular versions of Microsoft Access program. It’s highly proficient to fix any level of Access database corruption. It can easily fix the issues of header corruption or misaligned header situation. It recovers each and every file objects including BLOB, OLE and MEMO data from corrupt Access database files and restores them into a new database file. I read your blogs named “How to Repair Corrupt Access Database? | About N.Sem’s Blog” daily. You’re up the good work! I believe this is among the most vital info for me. And i’m satisfied studying your write-up. Even so ought to commentary on couple of normal issues, The web site taste is ideal, the articles is in reality superb. Hai, original size of my access mdb is 565Mb. But after corruption, the mdb size is only 2kb. I have tried Repair & Compact Mdb in msoffice 2007. But it couldn’t repair mdb. Is any method for repairing this type of corrupted mdb? The corruption is severe, I must tell you. Very rare chance for recovery or repair. 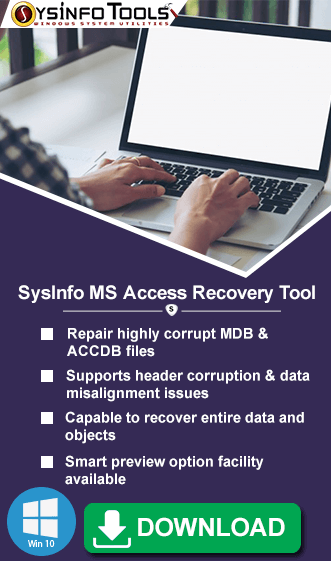 However, I will suggest you to try demo version of SysInfoTools MS Access Database Recovery tool. Don’t buy its full version. First try to scan the corrupt database file with its demo version. My databases on MS Access still cannot be opened…. although I try your tips above… I don’t know why…? Hi many thanks for your tips. However, I have a 48Mb .mdb file that reports ‘The Microsoft Access Database engine could not find the object ‘Databases’. It hasn’t complained before, what/where is this missing ingredient? Wow! You saved me a lot of time and effort re-creating the database. The database would not open and crashed Access. I believe this is among the most vital info for me. And i’m satisfied studying your write-up. “Repair Corrupt Access Database” .